Endeva is delighted to announce that we became a member of the European Venture Philanthropy Association. The EVPA is a community of like-minded organizations sharing a joint goal: creating impact through venture philanthropy. 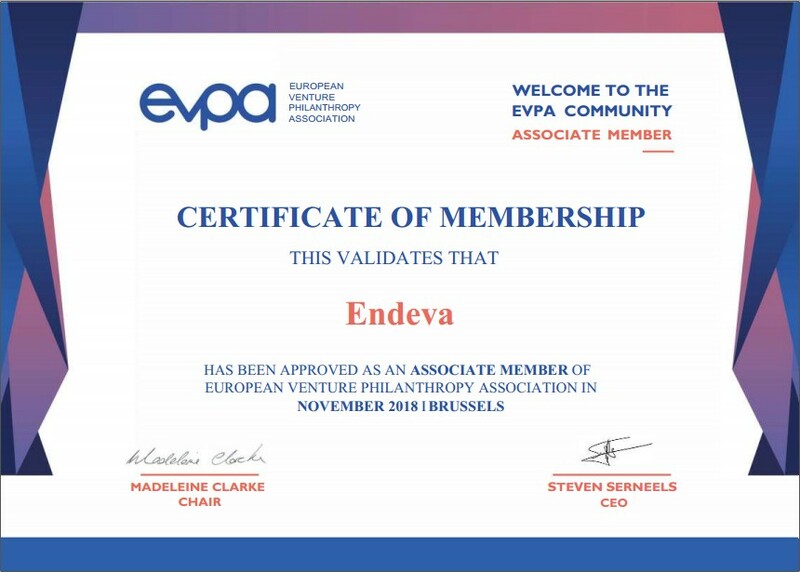 We believe that our expertise in inclusive business combined with the EVPA’s mission will be a bold new chapter for Endeva. Together with 275 members from over 30 countries, we expect to achieve the economic transformation needed for a more inclusive and financially sustainable future. On the 29-30th of November, we will also be present at their 14th annual conference ‘New Frontiers For Impact’ in Warsaw. The event will be attended by our founder and managing director Christina Tewes-Gradl and our director Tendai Pasipanodya.